Scholars can discuss Pope Francis’ addresses to Congress and the U.N., environmental encyclical, Society of Jesus, economic impact on the region, human migration, prison reform, death penalty, Catholicism, outreach, Ignatian philosophy, and more. Theologians, thought leaders, and religious and social justice leaders from Loyola University New Orleans are available to offer perspectives this week, as Pope Francis visits the U.S. in a historic visit to Washington, D.C.; Philadelphia; and New York. Like the pope, they are Jesuit educated. The Loyola Institute for Ministry has provided faithful and practical ministerial education in New Orleans and beyond since 1968. The program, with thousands of graduates worldwide, is rigorous, transformative, and grounded in Catholic and Ignatian traditions. 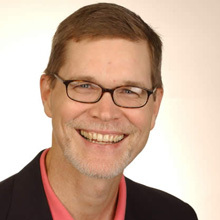 Tom Ryan is a theologian and biblical literature scholar whose areas of expertise include the history of biblical literature, the history of spirituality, faith and popular culture, and the papacy. He has spoken frequently about Pope Francis and delivered seminars on the pope’s stance toward the environment, climate change, and global warming. He is prepared to discuss these issues and others within a global context and with meaning for the Southeast Louisiana community. Theologian Daniella Zsupan-Jerome’s research focuses on media and ministry, especially digital media and its potential for faith formation. 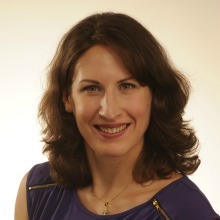 Daniela is a consultant for the U.S. Conference of Catholic Bishops Committee on Communication and author of the book Connected Toward Communion: The Church and Social Communication in the Digital Age (Collegeville: Liturgical Press, 2014.) At Loyola Institute for Ministry, she spearheads distance learning systems and trains LIM facilitators. She has expertise in systematic theology; religious education; practical theology; religious education; pastoral life and administration; and church, sacraments, and liturgy. 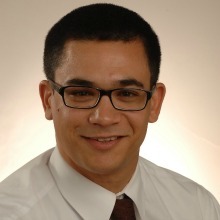 Gilberto Ruiz is a theologian and biblical scholar who teaches scripture courses, Jewish Roots of Christian Faith and Christian Origins, and courses related to Hispanic Ministry. He is a member of the Society of Biblical Literature, the Catholic Biblical Association of America, and the Academy of Catholic Hispanic Theologians of the United States. He is also a member of the Archdiocesan Racial Harmony Implementation Committee of the Archdiocese of New Orleans. Special research interests include interpreting the Gospels from historical and literary perspectives; reading the New Testament in light of its economic and Roman-imperial contexts; and biblical interpretation from theological, liberationist, and Latino/a hermeneutical perspectives. The Jesuit Social Research Institute works to transform the Gulf South through action research, analysis, education, and advocacy on the core issues of poverty, race, and migration. The Institute is a collaboration of Loyola University New Orleans and the New Orleans Province of the Society of Jesus, rooted in the faith that does justice. Fr. Fred Kammer, SJ, J. D., is a priest, an attorney, and a member of the Southern Province of the Jesuits. He has been director of the Jesuit Social Research Institute since March 2009. From 2002 to 2008, he was the provincial superior of the province, guiding the post-Katrina recovery and service to the devastated region’s poor and needy. From 1992 to 2001, he was the president/CEO of Catholic Charities USA, the nation’s largest voluntary human service network. Fr. Kammer has worked in a number of programs for the underprivileged, both as a lay volunteer, an attorney, an advocate, and an administrator. He is also a retreat director and author. Books include Doing Faithjustice: An Introduction to Catholic Social Thought, Salted with Fire: Spirituality for the Faithjustice Journey, and Faith. Works. Wonders. An Insider’s Guide to Catholic Charities. 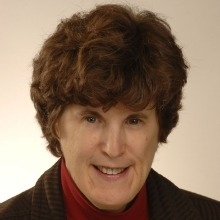 Dr. Susan Mary Weishar, Ph.D., of New Orleans brings 30 years experience in education and human services to JSRI, including 14 years as director of Immigration and Refugee Services with Catholic Charities Archdiocese of New Orleans (1991-2005). Earlier, she worked as a Peace Corps Volunteer in Samoa and as a teacher in Guatemala. Post-Katrina, Weishar served as project manager for the Louisiana Refugee Services Collaborative to implement a new statewide refugee services collaborative. She has also served as administrator for the Mississippi Immigrant Rights Alliance, Gulf Coast coordinator for the Mississippi Center for Nonprofits, and director of development for UNITY of Greater New Orleans. 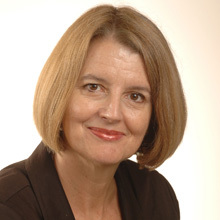 Her doctoral dissertation in educational leadership and research from LSU focused on the use of computer technology in teaching English as a second language to adult refugees from Vietnam. In particular, Weishar can speak on alternatives to detention, privatization of immigration detention centers, and U.S. immigration policies. Alex Mikulich is a theologian and social ethicist who specializes in death penalty, race issues, and prison and sentencing reform. He helped found Louisiana Catholics for Repeal of the Death Penalty and Louisiana for Alternatives to the Death Penalty and is organizing for prison and sentencing reform in Louisiana. He co-authored with Sophie Cull “Diminishing All of Us: The Death Penalty in Louisiana,” a white paper available on the national Catholic Mobilizing Network website that has been translated and used for educational and organizing outreach in California and other states. Alex helped to found Louisiana for Responsible Lending, a coalition of nearly two dozen statewide religious, advocacy, community, and educational groups, including federal and local credit unions that advocate for payday lending reform. He serves as an anti-racist facilitator and served the Pax Christi USA Anti-Racism Team from 2008 through 2014. He frequently addresses white complicity and racism with high school, college, and graduate school groups visiting New Orleans on post-Katrina immersion and service trips. Alex brings more than 20 years experience integrating spirituality and social justice advocacy, teaching, and scholarship addressing issues of white supremacy and economic injustice. The Office of the University Chaplain serves the holistic education of Loyola students by attending to the faith and spiritual and religious formation of the university community. In collaboration with student leaders, staff, faculty, and administrators, the office promotes a vision of the way of proceeding set forth by St. Ignatius Loyola, the founder of the Society of Jesus. Embracing our common human dignity created in God’s image and likeness, the Office of the Chaplain fosters a greater respect for the truth, goodness, and grace to be found in a diversity of faith traditions and people of every culture, race, language, and economic status. Fr. 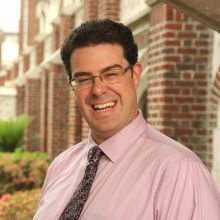 Ted Dziak came to Loyola in 2006 to serve as director of the Jesuit Center. Prior, he spent six years working in Jamaica where he served as president of St. George’s College in Kingston and also spent two years in pastoral work in the Mayan villages and as director of the Trinidad Farm retreat house in Belize, Central America. 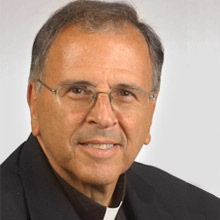 Previously, he worked at Boston College, where he served as assistant to President J. Donald Monan, S.J., as director of Ignacio Volunteer immersion program, and director of the Boston College Neighborhood Center, an neighborhood outreach center he established in Boston. He was also involved in retreat and immersion programs for students and faculty. 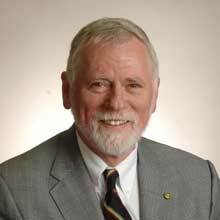 In 1983, Dziak founded the Jesuit International Volunteers (now JVI) and served as the organization’s executive director for six years. Located at Georgetown University, the JVI is an affiliate of the Jesuit Volunteer Corps, an agency that places recent university graduates in service work. He teaches a course on the teachings of St. Ignatius of Loyola. The Department of Religious Studies at Loyola University New Orleans, rooted in the Catholic and Jesuit context of education, encourages the academic study of religion in a spirit of free intellectual inquiry. Students are invited to consider their faith in a global context, to deepen their appreciation of themselves in a religious world, and to offer the results of their revelations for the benefit of all. Edward Vacek, S.J., currently holds the Rev. Stephen J. Duffy Chair in Catholic Studies at Loyola University New Orleans. He teaches moral theology, with special interests in emotions and ethical theory, as well as sexual, business, and biomedical ethics. He has contributed over 60 articles to various popular and scholarly journals and books, and he is the author of the book entitled Love, Human and Divine. He has given numerous talks to popular and professional audiences, many of which have focused on Christian ethics and Christian love. Sister Terri is a member of the Sisters of Mercy of the Americas, an international community of Roman Catholic women committed to global justice with a critical emphasis on the promotion and appreciation of cultural diversity and economic justice. She has participated in the Institute for Black Catholic Studies at Xavier University New Orleans; Crossroads Ministry, training dedicated to raising awareness of racism and its effects; cultural and language studies at the Mexican American Cultural Center in San Antonio; and at the Italiaidea Linguistic and Cultural Program in Rome, Italy. Before completing a doctorate in biblical studies in 2009, she worked extensively in the areas of social justice and service-learning. Her teaching ministries included the development of two Mercy Service Learning programs and the establishment of the Mercy SummerCorps program, a cultural immersion program that linked students with 11 U.S. urban programs. She also taught service-learning seminars for educators in Oklahoma and Arkansas. Her research interests include the social and cultural context of the early Christian world and early Christian literature. Her studies of Roman and Christian antiquity have included study programs abroad in countries from Turkey to Jordan. The Office of Mission and Ministry at Loyola University New Orleans seeks to foster the Jesuit and Catholic mission and identity of the institution and educate the Loyola community of its Jesuit/Catholic identity and heritage. John T. Sebastian was appointed vice president for Mission and Ministry in 2015. The winner of multiple teaching awards, he has taught courses on the literatures and cultures of the medieval world from Iceland to Japan. At Loyola, he has served terms as director of the Common Curriculum, director of the Medieval Studies Program, and deputy director of the University Honors Program. John was a member of the inaugural cohort of the Ignatian Colleagues Program (ICP), a national program that forms lay administrators for leadership in Jesuit colleges and universities. At Loyola, he founded and directs the Ignatian Faculty Fellows Program, an initiative modeled on ICP. 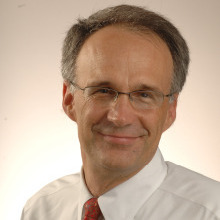 Kurt Bindewald has served as the director of University Ministry since January 2006. A former pastoral associate at St. Francis Cabrini Catholic Church in Gentilly, he started at Loyola in 2000 as a resident chaplain in Biever Hall, a residence hall for first-year students. He has taught art and theology at the St. Paul’s School in Covington, La., and served as campus minister and theology instructor at Pope John Paul II High School in Slidell, La. 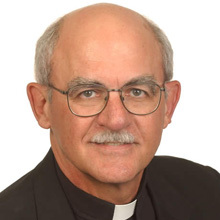 From 1998 to 2000, Kurt served as a Jesuit Novice for the New Orleans Province of the Society of Jesus during which he lived and worked in Belize; Texas; New Orleans; and Grand Coteau, La. While completing his master of pastoral studies degree in pastoral administration from the Loyola Institute for Ministry, Kurt served as associate chaplain for Christian Life Communities at Loyola. Kurt currently serves as a resident chaplain in Cabra Hall at the Broadway Campus and facilitates sacramental preparation for Confirmation and the Rite of Christian Initiation for Adults. Bob Thomas’s career has focused on the field of environmental education and communication. In September 1996, Thomas joined the Loyola faculty and holds the Loyola Distinguished Scholar Chair in Environmental Communication and is professor of mass communication and adjunct professor of biological sciences. Previously, he was founding director of the Louisiana Nature Center, served as vice president for environmental policy at the Audubon Nature Institute, and taught various biology courses at the University of New Orleans from 1979-1996. Thomas is and has been very active at the regional, state, and national levels, serving on a diverse array of boards, including the Council for a Better Louisiana, the Governor’s Environmental Advisory Task Force, UNO’s Business and Higher Education Council, the U.S. Minerals Management Service’s Outer Continental Shelf Policy Advisory Council, the Coalition to Restore Coastal Louisiana, and the International Federation of Environmental Journalists (of which he was general secretary). Among his myriad accomplishments, Bob Thomas is one of the leading environmental communicators in the Gulf South. Since 1914, the Loyola College of Law has been opening the minds of future law professionals, furthering the Jesuit tradition of academic rigor, pursuit of justice, and service to others through ABA-accredited civil and common law programs. Now in its second century, the College of Law is educating the next generation of legal professionals committed to using the law to make a difference in the world. Rob Verchick holds the Gauthier-St. Martin Chair in Environmental Law at Loyola University New Orleans. 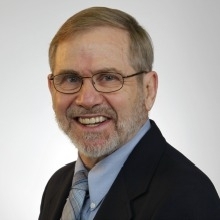 He is also a Senior Fellow at Tulane University’s Disaster Resilience Leadership Academy; in the School of Social Work; and president of the Center for Progressive Reform, a national policy institute focused on public health, public welfare, and environmental protection. He served in the Obama administration as deputy associate administrator for policy at the U.S. Environmental Protection Agency in 2009 and 2010. In that role, he helped develop climate adaptation policy for the EPA and served on President Obama’s Interagency Climate Change Adaptation Task Force. In the fall of 2012, he researched climate adaptation policies in India as a visiting scholar at the Centre for Policy Research in New Delhi, supported by a Fulbright-Nehru Environmental Leadership Award. Verchick’s writing focuses on environmental regulation, climate change adaptation, and the developing field of disaster law. 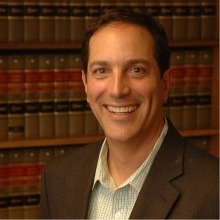 His work has appeared in many venues, including the California Law Review; the Southern California Law Review; and the environmental law journals at Harvard, Stanford, and Berkeley. 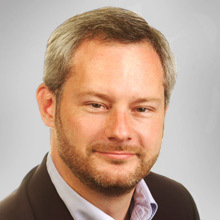 He is the author of three books, including Facing Catastrophe: Environmental Action for a Post-Katrina World (Harvard University Press 2010), which was selected as a CHOICE Outstanding Academic Title by the American Library Association.